Every industry has its own set of marketing challenges. 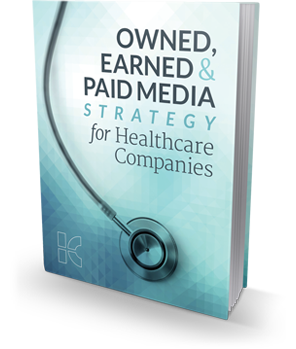 Healthcare marketers, for example, must navigate patient privacy laws and fair balance regulations. But the truth is consumers and buyers in every industry are turning to the internet to find solutions to their challenges. To survive—and thrive—in today’s digital world, you must form an authentic and meaningful relationship with customers, regardless of your industry. That’s why owned, earned and paid media strategies are necessary.